April 16 is National Healthcare Decision Day is an initiative to encourage individuals to express their wishes regarding healthcare. Sharing your wishes relating to end-of-life, should not take place during a crisis. Additionally, the discussion is not reserved for those in retirement. A medical crisis could leave you unable to make your own healthcare decisions. The discussion should take place early in life. Your views relating to end-of-life care and preferences are shaped by many factors including culture, religion, ethnicity, educational level, beliefs, family customs, income, environment and exposure to those who are chronically ill or dying. The importance of younger adults considering their end-of-life wishes cannot be understated. Younger adults have a lot at stake. If stricken by serious disease or accident, medical technology may keep them “alive” for decades. Some of the most well-known “right to die” cases resulted from young individuals, incapacitated by tragic accident or illnesses and maintained on life support. 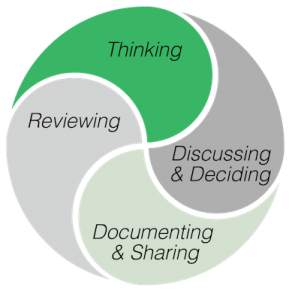 Advance Care Planning (ACP) is a framework to help you think about the various plan components, discuss and decide what is right for you, document and share your wishes. Then periodically review your wishes to determine if any changes need to be made. You should determine who will be your Healthcare Champion (Surrogate), the individual who respects your wishes and will speak on your behalf if you are unable to do so. Empower this person by completing a Durable Power of Attorney for Healthcare Decisions also known as a Healthcare Proxy document. When you document your end-of-life wishes, it is vital that you share them with your surrogate and loved ones. Your surrogate should have the opportunity to seek clarification from you and not be surprised at a time of crisis by your wishes. This provides you the chance to validate that your wishes will be respected. What do you want not to happen? There are wonderful free resources to assist you in opening the discussion with loved ones, and helping you to define your wishes. Many of these resources are also available in a number of foreign languages. Your Advance Directives can always be modified. It is a good practice to review your wishes every year or so, and when there is a major change in health status. Updated documents need to be shared with the Healthcare Champion (Surrogate), your physician (medical team), and uploaded to a registry if available in your state. Avoid placing such documents in a safe deposit box as they will not be accessible if the bank is closed. Consider uploading to your smartphone for back up. I often share that finding the right caregiver is like dating. 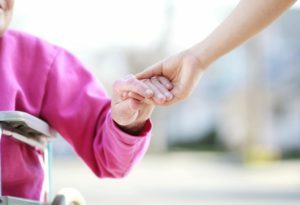 There needs to be a comfortable connection between the loved one and the caregiver. The circle-of-care members (family and significant others) must also feel at ease with the hired caregiver. Getting to that point can be painful and frustrating; just know that there is a caregiver match for every loved one! Finding the right match involves the “personality” component and a “skills” portion. However, addressing each of the caregiver components for a match is critical for a safe, respectful and lasting caregiving relationship. If there are questions or concerns relating to a caregiver, never settle; don’t make do with a hired caregiver. There must be both a personality and skills match. Above all, you always have caregiving options (caregivers may be hard to find at times). As a member of the circle of care, you must be assertive and protective of your loved one. Remember, not all caregivers are the same. For some loved ones, addressing the personality component may be more difficult. Consider the highly educated individual with lots of professional affiliations and hobbies who may be physically limited, yet is used to very stimulating discussion and is unable to re-channel the energy and thoughts in other ways. Can the caregiver adapt their individual style to listen and ask questions, or do they show disinterest and disregard for your loved one? There are those caregivers that are more comfortable tending to the mechanical care aspects and prefer limited verbal communication with the loved one. On the flip side, there are those caregivers with the “warm and fuzzy” personality who can engage the loved one, however, they are not as focused on the caregiving mechanics. The challenge is finding the right balance of engagement and caregiving mechanics. Find the individual who has both a head and heart while caring for your loved one. Appearance – Uniform: was the caregiver working elsewhere (in the same uniform) prior to coming to care for your loved one? Was that individual working at a daycare center during flu season or with others who may have an illness that could be spread? Safety of the caregiver is paramount. Paid caregiving is done with closed toe shoes for the caregiver’s protection. Flip-flops or open toe shoes should raise a concern. Long acrylic nails – The issues of infection control and acrylic nails is well documented. Long nails and fragile skin do not mix. The risk of skin tears is real, and skin tears often come about when holding or repositioning a loved one. You want to minimize injury from nails or jewelry that could unintentionally harm your loved one. Correct use of equipment – Knowing how to use the medical equipment correctly seems basic, yet there are many different models of the devices and supplies used to care for a loved one (glucose monitors/pumps, pressure mattresses, CPAP, wheelchairs, mechanical and electrical beds, etc.) 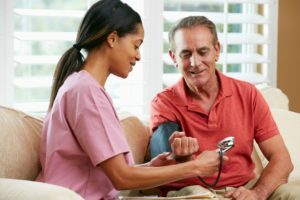 Is your caregiver experienced with the medical equipment, or can they receive training? Getting up and moving – Falls are a common cause of injury to loved ones as they decline. Often the loved one does not realize or want to recognize, their declining physical status. The caregiver needs to be proactive in responding to that change in status. Often gait belts are used as a safety precaution. If the item has been prescribed, it is imperative that the caregiver ensures its use. Concerning comments made by a caregiver about to walk a loved one that should raise concern include: “I have him” or “I can catch her” pose a risk to both the loved one and the caregiver. Follows instructions – It is important that the caregiver follows the plan of care. If the caregiver raises concerns or questions about the loved one’s status, those concerns need to be addressed and the care plan updated. Unfortunately, there are some caregivers who believe that they know what is always best for the loved one and disregard the professional recommendations to the contrary. Situations that should raise a concern, include giving the loved one food they may want, but are unable to tolerate or eat safely, getting the loved one out of bed or walking them when the loved one truly does not have the physical strength and ability. These types of situations place your loved one at risk. Receptiveness – Be aware of how the caregiver responds to simple requests and sharing of the loved one’s preferences. When resistance to care plan modifications are expressed or observed, explore the reasons further, and determine if this individual can continue as a caregiver. Be sure the caregiver feels valued and appreciated, and thanked for the activities performed. Remember that the goal is ensuring that your loved one’s needs are well taken care of. If the “I know better than you” attitude is consistently displayed, this individual may not be the right caregiver for your loved one. Shares updates – The majority of caregivers are very good about sharing observations and changes in the loved one’s status. That comes from building a relationship. This is a vital practice to promote and encourage. Often the caregiver will clue you into issues and concerns that a loved one may have and not be sure how to address it with you. If your caregiver is not sharing, ask for updates and let the caregiver know that you value their opinion and insights, and would like that communication. Respecting the preferences of the loved one, and asserting for their needs is not easy. Don’t be shy. If you don’t do it, who will? Loved ones are vulnerable, their welfare and safety must be the primary goal and focus. Mary Tinetti, MD is the Chief of Geriatrics at Yale School of Medicine and Yale-New Haven Hospital, and co-chair of the advisory group for Institute for Healthcare Improvement (IHI’s) Age-Friendly Health Systems. At its core, an Age-Friendly Health System looks to optimize value for your loved one, the family, caregivers, and the healthcare system. An Age-Friendly Health System is looking for a win-win solution for everyone involved. Dr. Tinetti identifies the keys to providing the best care possible for older adults. As individuals age, they amass more clinical conditions that become more complex over time. Seniors are individuals and it is important to remember each person’s outcomes, values, and desires are unique; they cannot be generalized. The healthcare team must recognize this individuality, and respond to the person’s specific needs, interests and priorities. When providers generalize or don’t take into account the variability of seniors, then there may be unintended care consequences. The “4Ms” is a part of an age-friendly approach focusing on improving the care that is complex and helping to make it more manageable. Regardless of the condition, the number of functional issues, culture, ethnicity or religious background, the “4Ms” are applicable. It is important for clinicians to examine each of these areas (What Matters, Medication, Mentation, and Mobility) collectively for each individual at every interaction. These “4Ms” are intricate issues that are related to each other. They provide insight into some of the challenges associated with managing complex conditions. Common chronic conditions include Parkinson’s, dementia, diabetes, heart failure, and renal disease. When multiple serious chronic conditions coexist, the intricacies of clinical management become more challenging. It is important to remember that each individual is unique, and each person responds in their own special way. Individuals and caregivers should remember the IHI’s Ask Me 3: Good Questions for Your Good Health that should be asked during each provider visit. The Ask Me 3 questions help you to focus on the important issues that are affecting your condition at a particular time. These questions become a nice introduction to the “4Ms” that providers are beginning to utilize in care management. You are encouraged to use the “4M” as a means of reminding the provider of your “uniqueness,” and desire for the best possible care. Open the provider discussion to the “4Ms” if the provider has not done so, as they tie in nicely with any treatment, or medication change made. These questions and approach encourage and assist in improving communication with the provider. They are a framework for better understanding of the proposed treatment or medication. Caregiving is often a 24/7 role, and as the loved one declines the caregiving responsibilities increase. The physical and emotional toll of watching a loved one decline coupled with the increase in caregiving demands, lack of sleep, change in routine, and added responsibilities can result in a very stressed caregiver with fragile emotions. Some caregivers experience “role reversal”; activities and responsibilities that were once performed by the loved one now fall to the caregiver to address, in addition to all the other caregiving duties. There are many individuals who have never cared for a chronically ill person or a loved one who is experiencing memory loss, thus increasing physical limitations and have no appreciation for what goes into caregiving. For many, caregiving activities involve some degree of bathing, toileting, grooming, feeding, assisting with walking or moving into a chair, meal preparation, medication administration, dressing changes, therapies, and keeping the loved one safe. In the event that the loved one does not sleep or requires assistance with repositioning, toileting or medications at night, that results in the caregiver is not getting sufficient rest, therefore, putting their health at risk. Beyond the physical activities associated with caregiving, the caregiver still must keep the household going. Additionally, the tasks of shopping, laundry, bill paying, house cleaning and maintenance, and potentially working, can all represent functions that caregivers must address and worry about. Although friends and family are well-meaning, they don’t always have a behind the scenes appreciation for what the caregiver is doing or experiencing. It is important to realize that remarks or questions can be interpreted by the caregiver as inappropriate, rude, demeaning, stupid, devaluing or insensitive. When stressed caregivers are tired and frustrated, they often experience heightened sensitivity to criticism. Individuals who do not know what to say, or don’t think through the implications of their remarks are unaware of the lasting impact of what they have said to a caregiver. Particularly stinging are comments relating to the mood of the caregiver such as “cheer-up”, “Why are you struggling?”, “you look tired/worn out”, “you should not have to provide the care”, “put your loved one in a facility”, “your loved one does not even know/appreciate what you are doing for them” depict the type of comments that leave caregivers upset and frustrated. Consequently, caregivers who are at the receiving end of insensitive remarks have the choice as to how they respond. There may be times that ignoring or not responding to the comment is best, hence the individual runs the risk of focusing or dwelling on the insensitive remark and having it impact the relationship. Responding calmly is an art. Sharing that the comment was hurtful or insensitive, along with the feeling evoked may help avoid future hurtful comments. There may be individuals the caregiver wants to engage in addressing the specifics of a comment that could result in brainstorming or specific requests for assistance and support. If you know a caregiver, go out of your way to do something special for them, lighten the burden that they are carrying. You will both feel better after your act of kindness has been received. 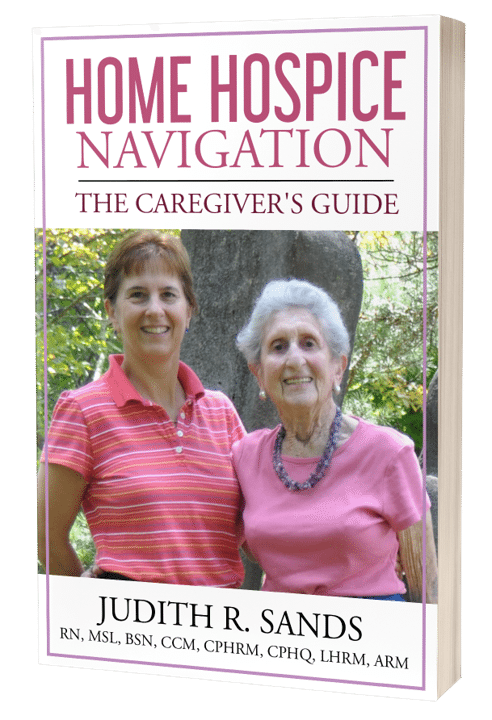 Check out Home Hospice Navigation: The Caregivers Guide for additional suggestions and resources. As the year draws to an end, this is a time to review the year from a variety of perspectives. Often, an individual’s financial health is the one area that gets the most focus. Evaluating the status of investments, retirement contributions and making last-minute donations to charitable organizations are the top areas of attention. Some individuals take advantage of funds left in their Flexible Spending Account (FSA) and get needed dental work, glasses or other medical services that have been delayed. Does your Living Will reflect your current wishes? Have you had a health crisis since outlining your wishes and your forms need modifications? Are your choices of Healthcare Surrogate and Financial Power of Attorney still appropriate? Are those individuals still able to carry out your wishes? Are any home modifications needed to remain safe, and age in place? Do you need to purchase Long Term Care Insurance? Do you need to self-fund for long term care needs? Is your Last Will & Testament up to date and reflect your current wishes? Resources for Advance Directives include The Five Wishes, Death Over Dinner and The Conversation Project. The holidays are a great time to share your wishes with family, allay their concerns and address any questions that surface. Having your family around to hear from you directly what your end-of-life wishes are, and how you want to be cared for when you are unable to share your care wishes, is a gift. It often is a very hard gift to share, due to the emotions associated with recognizing that you are sharing how you want to live while dying. Once shared, you will experience peace of mind and know if there are any issues between family members that need to be resolved. Thanksgiving has become the time to show appreciation and celebration of family, health and good fortune. Expressing gratitude when caregiving, can be very challenging, especially as a loved one is declining physically and mentally. Too often we become focused on what has been lost physically, mentally and emotionally; that we fail to recognize that there are still things that we should be thankful and grateful for. Being grateful refocuses us, on the positives we encounter. At times we fail to recognize the simple gestures extended to us, it may be a friend who calls or sends regular greeting cards, someone who brings a meal or assists with a chore or task that we are unable to perform. The acts of “goodness” and kindness, expressed towards us are humbling; they stop us forcing us to acknowledge that we have “forgotten” to appreciate the goodness around us. On this Thanksgiving take the opportunity to reflect on all that is good and kind around you, reach out to someone, return the kindness and acknowledge them for what they mean or do for you. May this be a time of blessings for you and your loved one. November is known as Palliative Care & Hospice Care month. A time to recognize the professionals dedicated to symptom management and end-of-life care. This is also an important time for individuals of all ages to discuss their end-of-life preferences and wishes with loved ones and their physician. 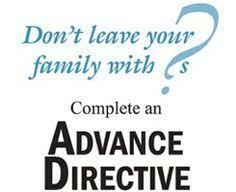 Take the time to complete or update Advance Directive forms. Consider sharing these preferences at Thanksgiving with family and friends, providing the opportunity to stress your desires and address concerns. Resources to assist you in the discussion process include Conversation Starter Kit a resource that is available in multiple languages, includes a version for those with Alzheimer’s/dementia and those with a seriously ill child. These resources are from the Institute for Healthcare Improvement (IHI). Another valuable resource is Death Over Dinner that helps you plan a dinner party to articulate end-of-life preferences. “The dinner table is the most forgiving place for difficult conversation. The ritual of breaking bread creates warmth and connection, and puts us in touch with our humanity.” The site has a number of versions including an Australian, Jewish and Brazilian edition. Coming to the realization that additional caregiving assistance is needed may be obvious to some and very challenging for others to realize. The need for more caregiving support affirms that the current caregiving plan is not meeting the changing needs of the care recipient. Some view this need for additional assistance as a very difficult and painful realization that they are not able to fulfill all the care needs of the loved one. How to find a caregiver? Just like dating, ask for a referral from a trusted friend, colleague, spiritual advisor and anyone you come in contact with. Caregivers are typically not free, so be sure you have a realistic budget and recognize that as an individual declines, usually additional caregiving hours are needed. There are “dating services” also known as non-medical homecare agencies and registries to assist in the caregiver identification process. Be sure to ask about the background checks and screening processes used. No matter how you find the “professional” caregiver, they need to be the “right” match for the care recipient and the circle-of-care at the bedside. Whenever possible, speak directly with someone who has hired this individual to gain first-hand insight about them and their abilities. Try to meet the individual prior to the initial caregiving session if possible. This is the time to determine if the potential caregiver is the “right fit” for the care recipient. What is your “gut” reaction when you meet the individual? Do you have reservations or concerns? Consider, personality, temperament, willingness for the assignment, physical ability to meet and perform the care needs, availability to provide the hours needed (do they have other individuals for whom they provide care and you will need multiple individuals to cover the hours?) Can the caregiver easily communicate, and able to understand the wishes of the care recipient? Can the care recipient easily follow the instructions of the caregiver? Be sensitive to communication challenges. Are there cultural, ethnic or religious aspects that need to be clarified? If your loved one has special needs can the caregiver meet them? Does the care recipient have certain preferences, and can the caregiver abide by them? As with dating, sometimes there is a mismatch, be sure to have an exit strategy with a corresponding back up plan. Sometimes “blind dates” work, and other times they do not. Be realistic in your expectations, address what is important to you and the care recipient and also take the time to learn about the caregiver, establish guidelines and expectations up front and together to ensure minimal disruptions to the care recipient. Financial implications associated with hiring a caregiver will be discussed in a future post. Caregiver – Willing, Able & Available? The fitness for caregiving duty question should not be taken lightly. Is the caregiver Willing, Able & Available needs to be asked and responses evaluated continuously during the caregiving journey ensuring the caregiver ability to meet the demands of the role, and that the loved one’s care needs are being safely met. Typically, when a loved one has physical or mental status change there will be a corresponding change in caregiving needs. As the loved one’s condition declines, the care needs typically increase. The additional care requirements mean more frequent and complex caregiving interactions that can be emotionally and physically draining. Caregiving assistance that may have been periodic or supportive in nature shifts to being more intensive. Intensive caregiving requirements go beyond some assistance with bathing and grooming, toileting, feeding, dressing, transferring and walking to having to meet all of those needs with extra assistance. This corresponds to spending more time and energy on the various caregiving functions while continuing to manage medications and keeping the loved one comfortable. Is the caregiver able to meet the care needs of the loved one? That is, can they physically and mentally complete the caregiving tasks safely? If the recipient of care is physically taller and heavier than the caregiver there will be physical constraints, including limitations in the ability to lift, turn, safely walk and provide the assistance with activities of daily living. Is the caregiver able to cope with the demands of caregiving? Is the caregiver willing to meet the care needs of the loved one? That is, does the caregiver feel comfortable and willing to assume these additional tasks that may include emptying bedpans, dealing with vomit, handling additional bodily fluids, managing medical equipment and supplies? 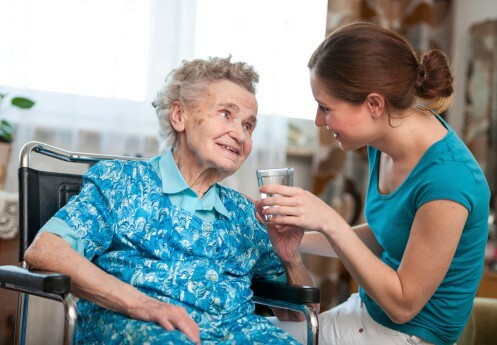 Is the caregiver available to meet the care needs of the loved one? That is, can the caregiver be present to carry out the necessary care? Does the caregiver have conflicting responsibilities such as work, child care or other obligations that will impact their ability to meet the needs of the loved one? If the answers to these questions is “no” that is a clear indication that additional caregiving support is needed. This is the time that the members of the circle-of-care, needs to reevaluate the caregiving plan and make modifications to meet the recipient’s needs. Don’t forget that caregivers need to opportunity to “recharge” and take care of their own physical and emotional needs before meeting the needs of others. Friends of caregivers need to help the caregiver get the required time away for a bit of relaxation, a tasty meal, run an errand or read a book. Remind the caregiver of the instructions given on a plane, that when the oxygen masks come down, always put on your own mask before assisting others. Evaluate your caregiver situation for being able, willing and available to perform the needed care tasks.